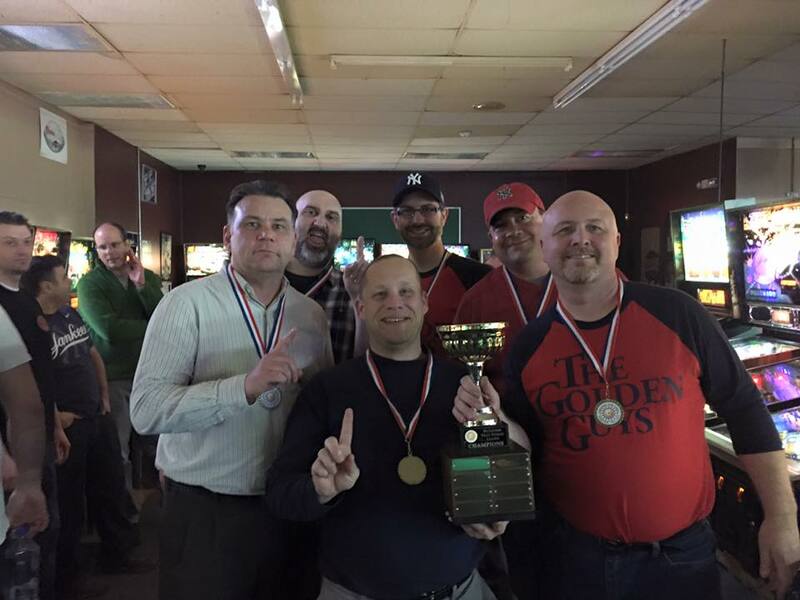 Congratulations to The Golden Guys: Captain Dave Romanowski and teammates Kevin Manne, Jim Meszler, Bruce Nightingale, Curt Pasisz and Jeff Wirth, for going undefeated and winning the inaugural season of the Buffalo Pinball Team League. Teams Jesus Take the Flippers and Pinpin Ain’t Easy tied for second and The Fliptastic Four finished third. The rest of the final results are available on the Team League Standings page. 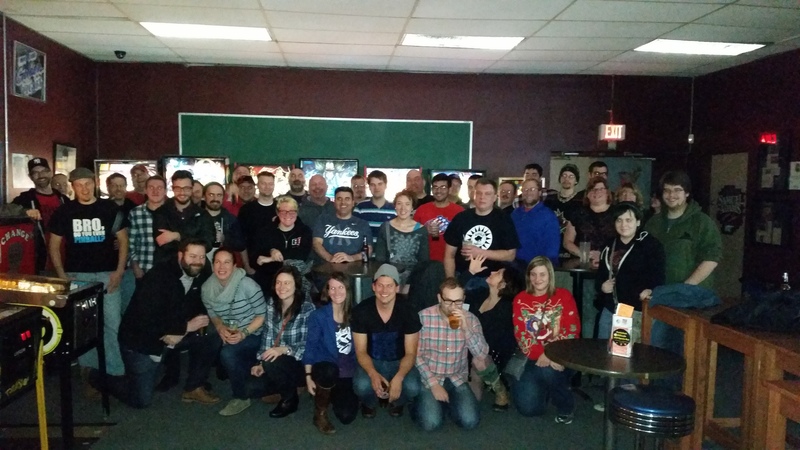 Participants of the Buffalo Pinball fall 2015 Team League. In all, ten teams totaling more than 50 players came out every other Wednesday night for some fun, head-to-head pinball action. Thanks to everyone for making Team League a big hit and a lot of fun. Want to get in on the next team league? Start getting together at team of 4-6 players and sign up for our mailing list to be among the first to know! We’ll be kicking off the next season soon. This entry was posted in Team League on December 21, 2015 by k3v2.